Duane F. Johnson, 78, of Topeka, passed away on Sunday, October 28, 2018 due to complications from Alzheimer’s disease. He was born October 26, 1940 in Salina, Kansas, the son of Orlando F. and Alice Mae (Halsey) Johnson. 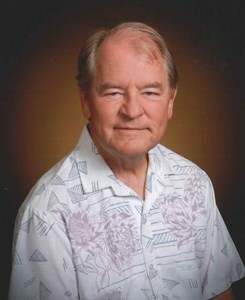 Duane graduated from Kansas Wesleyan University in 1963 with a Bachelor's Degree. He went on to receive a Master's Degree in Library Studies from Florida State University. He served as Director of Libraries in Great Bend and Hutchinson before being appointed the State Librarian of Kansas by Governor John Carlin in 1983. He served in that capacity for 20 years, not only under Governor Carlin, but also under Governors Hayden, Finney, Graves and Sebelius. He retired from his post in 2004. Duane married Ann Dolloff in 1963. She preceded him death in 1978. He and Ann had a daughter, Marcia Johnson. She preceded him in death in 1982. He was also preceded in death by his siblings, Robert, Patricia, Shirley and Kenneth and his parents, Alice in 1972 and Orlando in 1975. Duane married Debra Kirmer on October 21, 2011 in Fredonia, Arizona. She survives. Other survivors include two step-daughters, Stephanie (James Mark) Kirmer and Jennifer (Mary Douglas) Kirmer; one granddaughter, Missouri Douglas; sisters-in-law, Kathy (David) Hartley, Judy (Dave) Burghart, Loretta Kirmer; nephew, Terry Bennett and many, many friends. He will also be missed by his pet companions, Charley, Ginger, Claire, Sam and Cleo. The family will receive friends from 2:00 - 4:00 p.m. on Sunday, November 11, 2018 at Dove Southeast Chapel, 2843 SE Minnesota Ave. A Celebration of Duane’s life will be follow from 4:00 - 7:00 p.m. at The Landing, 2920 SE Croco Rd. In lieu of flowers, memorial contributions may be given to the Topeka & Shawnee County Public Library, 1515 SW 10th Ave., Topeka, Kansas 66604 or the Topeka Unitarian Universalist Fellowship, 4775 SW 21st St., Topeka, Kansas 66604. Add your memories to the guest book of Duane Johnson. Duane Johnson was a kind, personable, and gentle man - a servant leader in the truest sense of that concept, always helpful, cooperative, and working for the good. He always left me with the feeling that I want to be like him when I grow up. He gave positive meaning to the phrase “I’m from the state library, and I’m here to help you,” giving state librarians a good name. "Well done, good and faithful servant!" May he be at rest. Duane and I had a conversation about sense of place, in his office, when he was Director of the Hutchinson Public Library, in March, 1974. In 1981, I was appointed to the Kansas State Library Advisory Commission. In 1982, we considered 11 applications for the position of State Librarian. We voted to accept Duane's application, 7-0, after which he was appointed to the position by Governor Carlin. I enjoyed the meetings of the Commission, immensely, under his leadership. Please accept my condolences on the loss of Duane. He served on the Board of Trustees of the Library well, and I always liked seeing him at the exhibits in the Sabatini Gallery. He was very insightful, kind, and always had great questions. I admired him. Duane conceived the Interlibrary Loan Development Plan, a brilliant revenue stream attractive to legislators because of its shared resources and non-duplication of costs. Duane, Dan Masoni and I had to work for two years to pass the plan but once passed it netted Kansas libraries thousands of dollars over a lengthy period of time. Duane was brilliant. I have some great memories of my Uncle Duane while growing up in Salina, Ks, even though he never had much to with us little kids at the time, I remember him coming home with a burlap bag that a bunch of rattle snakes he had caught on some kind of roundup, of course grandma was not very happy with him and he just laughed and kept teasing, then he had a baby great horned owl that he had found and was raising it, we thought that was cool, he brought to one of grade school classes for show and tell. It wasn't till I got older and that I got to know about him and realized there was way more to my uncle that I no clue that he just wasn't a book worm. Several years ago after my dad died we started emailing and talking on the phone, he'd call just to chat or I would call just to check on him. When he and Deb came to our family reunion 3 years ago is when he shared so much more about his life. I had no idea he loved to ride motorcycles and had taken many cross country trips, he kept a collection of his trips made with license plates he had visited and of course stories with all his photos. It was hard to believe that this really quiet private man was that outgoing and adventurous, we all had a great time with him and Deb sitting around the campground, it was a side of him we never knew about. We kept in touch better after that reunion, he was hoping we'd have another one, said it didn't matter where that he and Deb would be there. Unfortunately we never had another one, 3 years passed by in the meantime when my wife Dee and I would have the pleasure of getting to visit him and Deb in Topeka on our way back up to South Dakota I am so glad we got to see and visit with him and Deb last April and have him give us a tour of the Kansas State Capital. He was an awesome man and Uncle, he is and always will be missed. Our prayers go out to Deb and family and I know the Uncle Duane is at peace from this dreadful disease. God Bless rest in peace Uncle Duane. Duane was always one of the really good persons around the Capital. He was quick to provide legislators the help and information we needed. He was a good, truthful and pleasant conferee in front of committees. His family can be very justifiably proud of Duane and his career. Sending much love and peace to you all. Deb, your Valeo family will be here in any capacity you need. Was sorry to hear about Duane's death. Not only are we the same age but we are charter members of the KLPCA (10 charter members). He was a friend and fellow tag collector who was a joy to visit with. May you and the family feel the Peace of Jesus during this time. In 1992 I moved from West Virginia to Kansas to become Library Director of the Pittsburg Public Library. I naturally had many adjustments to make and much to learn. In addition, PPL was beginning a building project with strong City and community opinions on the direction the project should take. Duane Johnson helped me tremendously over the entire course of the project with sage advice, political savvy, and professional support. He welcomed me to Kansas and never made me feel like an outsider. He was willing to do whatever was necessary to see that the project was a success, including travelling down to Pittsburg on several occasions to meet with the trustees and the city leaders. His professional guidance and direction were indispensable. He was always kind, generous with his time and support, and willing to help in any way needed. Several years later I returned to West Virginia to become the Library Director of my hometown public library, but I've never forgotten Duane's advice and his insight into public libraries. One of his phrases has always stuck with me as I've worked with public library funding here. He said, "Show me the money!" So true and necessary when it comes to effective public libraries! I extend my sincere sympathy to Duane's family and will keep them in my thoughts and prayers. Condolences and best wishes to family and friends of Duane Johnson, my former boss at the Kansas State Library. I was very saddened to hear about my Uncle Duane's passing. I can still hear him from when I was a little girl, always calling me Brenda Vaccaro because he thought I favored her so much. I am very blessed that I was able to spend time with he and Debra a few years ago when we had a small family gathering of Bennett's, Johnson's, and Swanson's in South Dakota. I have so many wonderful childhood memories that also include Marcia and Aunt Ann at the Swanson home in Salina and the many gatherings in Brookville at the Halsey home and Brookville Hotel. I know Uncle Duane is up there in heaven having a grand time at sharing all the news and happenings with his daughter, siblings, and parents. Always loved and never forgotten, rest in peace Uncle Duane. So admire you and your family. And wishing you many blessings. I met Duane first many years ago when I worked for the Dept of Revenue and Duane was State Librarian. He gave me a tour of the State House Library. I met Duane a second time when I worked for Dept of Administration as Security Coordinator for the Capital Complex. I presented a "class" to the library employees on how to use their new security key cards for building entry about 2001. And finally, I worked with Duane on the Board of Trustees. I enjoyed all of my encounters with Duane. A very dear person. I am saddened by this news. It is a lose to the library community. Mr. Johnson was an incredible boss. With his quick smile, he was always kind and generous. It was my honor to work with him at the Hutchinson Public Library up until the time he was appointed the State Librarian of Kansas. He will be missed. Praying that the love of family and friends sustains you in this time of loss. I'm keeping you in my heart and prayers. Deb: I am so sad to read about Duane. I enjoyed working with him on committees and always held him in the highest esteem. So very sorry to learn of your loss. Wishing you peace and lots of loving memories. We have had the pleasure of knowing and volunteering with Duane & Deb for many events at the Jayhawk Theatre, what a wonderful couple. Duane was always looking for ways to participate and assist. Deb is a dear friend whom we value greatly. RIP Duane and God Bless you, you will be missed by many. I met Duane through our shared hobby of license plate collecting many years ago. I was honored to call him a friend over those many years and I've always considered Duane to be the most honorable person I've ever known. My simple words can't express the sadness I felt at hearing of his passing, and my condolences go out to all of Duane's friends and family. Duane was a dynamic leader for Kansas libraries for so many years and through his dedication he truly impacted many lives across the state who benefitted from improved libraries. Duane worked at the Salina Public Library when he was in college and would often return to visit and encourage us. Duane is legendary in the Kansas library world and will be remembered as someone who really cared and made a difference. Loved his smile. Duane was really great - when I worked at the Northeast Kansas Library System I had several encounters with him at meetings and programs. He was very down-to-earth and easy to talk to. He always made me feel welcome and like I was an important part of the library profession. He'll be missed - my condolences to his family. I met Duane through our shared work with the Topeka and Shawnee County Public Library. From there I noticed him among several shared experiences be that Last Minute Folk events or more commonly volunteer work through Harvesters. I will miss seeing you. My condolences to you, Debra. Librarians all over Kansas will mourn Duane Johnson’s passing. He served on the Topeka and Shawnee County Public Library’s Board of Trustees for eight years, sharing his experience and wisdom as the retired state librarian of Kansas. He was my board chair for two years and I so appreciated having his support and counsel. He was a true gentleman and a great library leader. Duane was a huge part of my boys childhood. He stepped into my life in a big way and was considered a surrogate grandfather for them. He will be missed. Duane was my boss from 1995-1997, at the State Library. One of the best bosses I had! When I worked later at TSCPL, I enjoyed seeing Duane in his capacity as board member. He will truly be missed by the library community. When I think of Duane I always smile! He was a gentle spirit with the strength of a giant! I will always be grateful for his friendship and appreciated all the mentoring. He championed Kansas librarians and libraries with vision and dedication. He was a leader! I send condolences to his family and many friends ?? It was an honor to work with Duane for many years at the State Library of Kansas. He was always kind and generous. He was also a member of my church, Countryside United Methodist Church, here it Topeka, for a while. They shall also be informed of his passing. He will not be forgotten, but sorely missed, until we meet again in Heaven. My heartfelt sympathy goes out to his family at this time. You shall all be in my prayers.